Hansen responds to John Coleman's KUSI Special report | Watts Up With That? According to the KUSI special report page, Dr. Hansen has issued the following statement. For more on Dr. Hansen, here is a Youtube clip of his recent appearance on the David Letterman show. Apparently Dr. Hansen does “joust with jesters” after all. …if we, in effect, destroy Creation, passing on to our children, grandchildren, and the unborn a situation out of their control, the contrarians who work to deny and confuse will not be the principal culprits. The contrarians will be remembered as court jesters. There is no point to joust with court jesters. They will always be present. They will continue to entertain even if the Titanic begins to take on water. Their role and consequence is only as a diversion from what is important. Yet here he is, jousting with the biggest jester of them all. January 15, 2010 in media. @ed_hawkins propagandized “global warming ties” for TV meteorologists blows up in his face – Climate Central may lose Federal funding. This may be the appropriate place to post this. Very fitting to us. Keep up the great work at WUWT! Either they have or they haven’t. What are the facts. Are the opponents of AGW just making noise or do they have proof? The “quality” of this data leaves so much to be desired it makes me wonder about the folks and methods doing his claimed “Quality control checks are regularly performed on that data”. If he isn’t aware or nervous about this in light of the siting issues UHI issues and rediculous fudge factors it is mighty hard to take him seriously. He is right about then carbon trading, one of those broken clock twice a day things. A bozo echo chamber… how novel! Ah, Hansen. The ideal Climate Jester will display the ability to fudge the baseline data, cherry-pick the hottest stations and oversalt the cookie-dough mass. Place in pot of model-water, then bring to a raging boil while homogenizing. If Julia Child saw you making cookies like that, she’d beat you to a pulp with her myriad kitchen utensils. George Patton would say “Ha, ha, I read your emails. What a waste of fine data. Is he really Obama’s climate science advisor? This is pure brainwashing! “I don’t know anything about it but we’re doomed”. Is Letterman trying to drive down the price of beach front property so he can buy some next to Al Gore? What he really meant was: “NASA has not not been involved in any manipulation of climate data used in the annual GISS global temperature analysis.” I imagine NASA’s QC checks are as good as New Scientists’ re:glacial melting. It only took it ten years for admit it was wrong. “The agency is confident of the quality of this data”….not the point. Is the agency itself reliable? That is the point. Plausable deniability- the logical analisis of this assertion would be that data is manipulated BEFORE it gets to NASA. I understand you must have been off the planet for last few months. Perhaps you should take some time and get familiar with the term “Climategate” and all the fallout from same. Just go back and watch the KUSI special for starters. You will see those against AGW have the proof. More will be made available when the inevitable investigations, armed with FOIA requests or court subpoenas, retrieve the records GISS, NASA, and NOAA have been reluctant to share with those of us who have been footing the bill for this nonsense. Grab some popcorn and enjoy the show. You said it right: Nuts! Which makes him anything but trustworthy. The absolute lack of response in regard to the content of the acquisitions made by Coleman, E.M Smith and Joseph D’Aleo tells me the they are on the right track. All result in a mountain of rock solid evidence that can’t be ignored. It appears so and to top it off hes a AGW guy and he worked alot with the IPCC assessments that landed him one of those cereal box Nobel Peace Prizes they seem to hand out to anybody that walks by anymore . So what does NASA do with the data and if they do nothing, why do we need NASA involved in climate data? Nasa have been known to manipulate images and go to radio silence or use code words in verbal comunications with astronauts. Remember the inexplicable two minutes of silence shortly after Apollo 11’s lunar landing? And there you have it. In physics, nothing is created or destroyed. This single statement answers every question I have regarding what motivation is behind his appearance of being on a holy crusade to save the planet. Or he is simply dissembling. Either way, this isn’t about science. posted this at CA, but here are a few links to some protected files from the GISS server. the login was in the FOIA’d emails, and worked yesterday (the site has been taken down). that has been improperly collected. According to the conservative think tank the National Center for Public Policy Research, Mann received $541,184 in economic stimulus funds last June to conduct climate change research. How many jobs did this “create”? Bunch of nitwits and I am being extremely kind. Hansen is lying like a rug. Jack Simmons: I have followed Climategate very closely and I have watched the Kusi program and I still do not see any politicians backing down or running for cover on this issue (although Tony Abbott was made leader of the opposition in Australia on this issue, but he is still hedging his bets and as far as I can gather he is still an AGW believer). As a scientist myself I I only deal in facts however it is still only fringe groups and not main stream groups that have taken up the cause. I still think we have a long way to go before the wheels fall off the AGW gravy train. What to do with Hansen. He’s an embarrassment to himself and NASA. There’s also a crisis at NBC late night television over the Tonight Show. Wait … I have the perfect solution. Zucker at NBC hires Hansen away from NASA as their new late night comedic talent. It keeps up NBC’s very proper Green image, solves the Leno/Conan dust up, and Hansen is free to speak his mind without any appearance of a conflict that exists now as a gov’t employee. And then when the whole thing implodes, NBC Universal fires Zucker for driving NBC even further to the ratings cellar and fires Hansen as a no-talent joke, who then rides off to join Gore in his crusade [Hansen & Gore later split the AGW movement into a bitter civil war over purity of beliefs]. Leno takes over at 4th place Tonight Show, behind Letterman at CBS, ABC’s Nightline, and the high-flying Conan show – FOX Tonight. Check the exact wording of this denial very carefully. 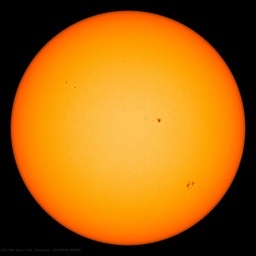 NASA has manipulated, hidden, and distorted experimental data on the, origin, composition, and energy source for the Sun since the time when the Apollo Mission returned the first samples from the Moon. At a meeting to celebrate the 50th anniversary of NASA a few years ago, I warned Dr. Ralph Ciscerone (President of the National Academy of Sciences) and several members of the Space Science Board not to involve NASA in the fraud of global climate warming. The question is who provided public tax funds to the scoundrels who lied to the public? That sounds like the guys who run the blogs? Take the Hansen’s decline in credibility. Then HOMOGENIZE it. Only after this, does it show a upward trend. “Quality control checks are regularly performed on that data”. “Those” data, please, Dr Hansen. “NASA has not been involved in any manipulation of climate data used in the annual GISS global temperature analysis. What does that mean? Does it mean that the manipulation GISS does is not under the auspices of NASA? Does it mean they don’t do any data manipulation? Both of these sound implausible even without getting into inappropriate acts. Or does he count NASA as not involved with GISS actions? I don’t understand what he is trying to say/imply. The Climategate Email disclosures make it difficult to place too much reliance on the utterances of those who so earnestly , in the style of the original authors of those Emails, protest that they are above suspicion. letterman is nuts!, i dont even know what hansen said, i couldn’t take my eyes off the crazy man. Here I thought court jesters were valued because they would say the truth, unvarnished and without politics, although humorously thus people would not take jesters seriously. If we “contrarians” are to be called court jesters, so be it. We know we will be having the last laugh. The manipulation is not with the raw data (I hope) but with the data treatment and calculations. They present numbers skewed by their own methods and agenda. If that is not manipulation, what is? “Why were the principles created? “The game is communicating climate change; the rules will help us win it. Looking at the “big picture” (from emails, documents, IPCC reports) I’d say they have refined this particular principle to a very fine art! We see it reflected in all the “official” reactions to just about ANY criticism – whether it be the SRES, the “science”, the data or the models. I wonder how Hanson would react to a proposal from an Australian politician to kill the Camel population in order to reduce CO2 emissions. This once more proofs that green doctrines are a threat to all life on the planet, our civilization and our freedom. But surely the importance is this. Hansen is a great man in AGW if lesser than the Great Goracle Himself but equally unwilling to engage in any debate yet he has chosen to make a statement refuting any inaccuracy let alone wrongdoing. In his statement he appeals to authority, that the data is confirmed elsewhere and so forth. But why does he need to do this? He has never done so before, merely dismissed any critique as being malicious and politically motivated. How can a tiny television station, however well informed, concise and careful in it’s report rock a mighty organisation like NASA and its Mandarins? Hansen has no reason to suddenly come and defend his position, if it is, as he and others maintain , the established truth. And as such cannot be questioned, or so he has always said. A simple contemptuous dismissal would do better than this piece of meretricious justification. But then of course it is not the political crime that matters, it is trying to cover it up that attracts the media these days. A remarkable result and a very bad call by Hansen and NASA I think but time will tell. and Bill Clinton did not have sexual relations with that woman. Hansen’s statement doesn’t do anything for me. It’s just an appeal to authority. Engage on the issues raised, Dr. Hansen, as to why what you guys did is appropriate and did not bias the record. Ah, but Hansen is CC’ed in the emails from CRU Crew. He knows exactly what was going on and is aquiesced by his silence. The global warming he feels is the hot seat he currently occupies. This is the guy who on one hand decries Cap & Trade but on the other hand tries to shut Washington DC’s Power Plant down by encouraging others to engage in civil unrest. Can I believe that someone who says things to incite civil disobedience is not going to sit silent while others discuss how to cook the books to further his own doings? Is Dr. Hansen denying the accuracy of the charges made in John Coleman’s part 4? Or is he asserting that those actions don’t constitute manipulation of climate data? Maybe it depends on the meaning of the word “is”…. So Hansen is saying that this information is incorrect? NASA’s Goddard Institute of Space Studies (GISS) publishes a global temperature index. The temperature record is contaminated by the effects of urban development and land use changes. NASA applies an “urbanization adjustment” to adjust the temperature histories to eliminate these effects. The resulting GISS temperature index is supposed to represent what the temperatures would have been in the absence of urbanization and land use changes. Most scientists assume that these adjustments are done correctly. The index is used to show that CO2 emissions are causing climate change. An audit by researcher Steve McIntyre reveals that NASA has made urban adjustments of temperature data in its GISS temperature record in the wrong direction. The temperatures in urban areas are generally warmer than in rural areas. McIntyre classified the 7364 weather stations in the GISS world-wide network into various categories depending on the direction of the urban adjustment. NASA has applied a “negative urban adjustment” to 45% of the urban station measurements (where adjustments are made), meaning that the adjustments makes the warming trends steeper. The table below shows the number of negative and positive adjustments made to the station temperature trends. NASA, the organization that lost a shuttle crew because they didn’t accurately know the temperature range of an O-ring material. Now trusted to accurately know the temperature range of the planet. Jim Hansen?? I thought the muppet guy was dead? I suppose that Hansen beefed up his QC program after counting September’s Siberia temperatures as October’s in 2008? I seem to recall that the error wasn’t caught due to personnel shortages in the QC area – no one had time to do a reasonableness check on the data. This is the fundamental problem with AGW Climate Scientists. Letterman has bought into the earth is doomed scenario…even NASA has backed away from the Al Gore oceans rising 20 meters nonsense. Hansen has an opportunity to correct the falsehoods…but he just sits there and lets it slide. Then he wants to claim he is merely interested “In the truth”. There all are happy to point out when someone ‘understates’ what they believe is the science..but they are completely silent when someone ‘overstates’. One is either interested in ‘The Facts’ or ‘The Agenda’. Diversion indeed. An arrogant pompous old fool,weded to his hysterical “insights” of 35 years ago. Give it up James. Climate science is being held back by the likes of him… there will be no real progress until he is no longer in the picture. I suspect that Hansen really believes that what he does with the data is something other than manipulation. He probably also believes that what he calls quality control improves what even he understands to be a rather messy raw data set. But, and its a very big but, he is so biased in his beliefs, and his activism so strident, that I find it impossible to impart any faith in his final product. One cannot be both a scientist and an advocate. Science demands that you “land” where the data sends you. Advocates, like any salesperson, have predefined landing zones that they steer the conversation to. This is why in my business a consultant cannot be a salesman. Well whoop de doo ! we have it from the Oracle; Dr Hansen himself. The Winters aren’t cold enough to kill the Pine Bark Beetle. I’ll be right back with a fix for that problem Dr Hansen. And Letterman simply demonstrates what a total buffoon he is. I can’t wait to see all this wonderful green replacement energy that we have to move to anyway. If environmentalists think that industry screws up the environment now, with all their structures; wait till those evil oil structures are all replaced by those veritable Rembrandt creations of the green energy revolution; they’ll just take up 1000 times as much space as those oil messes; so a lot more people will get to admire their beauty. It might help ease his mind and it wouldn’t hurt if the other “mindless sheep” of the “AGW Religon” followers took the time to watch it also. Too bad Letterman didn’t ask him about the fence. err… the fence that keeps us all from falling off when we get too close to the edge of the earth. this is the same NASA that failed to find its own Y2K issue in their temperature database, yes? the guys who needed macyntyre to point it out to them despite the fact that they wouldn’t give him their data? Hansen is simply a LIAR!! Adjusting for UHI by averaging the temperatures of 2 locations that may not even be in the same time zone and are probably both equivalent to urban is Al Gore’s dream!! The dead pine trees don’t burn any more than live ones do. Sometimes the needles and fine branches burn off dead (or live pine) but wood above 7.5cm in diameter is not normally considered to be fuel for forest fires. For the most part the dead trees slowly decompose which means that they are eaten by fungi, bacteria and insects. This is the normal fate of almost all wood in the forest and it does very little to contribute to a spike in CO2. Beware of con men who want to generate “bioenergy” from the trees to save us from the CO2 the dead trees would give off slowly by burning them up quickly. Every huckster in town has their finger in the AGW pie. this is the same NASA , that gives us the satellite data we love to argue about, and: mars rovers, the “explorers” still sending back data, space probes, hubble, etc, etc, etc. lets not burn ALL of them at the stake. There’s a great snippet in the Hansen Y2K e-mail FOIA dump appropriate here. There’s no record in the FOIA e-mails that Jim-bo ever answered the question. No amount of “adjusting, massaging, correcting, extrapolating, etc.” can make a silk purse out of this sow’s-ear of worthless data. Steve McI merely pointed out that, in addition to the offal nature of the raw data, there was evidence of an additional error at Y2K dealing with different data sets. NASA-GISS and NOAA have both “adjusted” these so-called data in ways to suppress old warmth (1930s) and elevate modern warmth (wrong sign for urban-heat-island corrections) for political purposes. These are en-“Hansen”-ments of the temp record. NOT funny. More like criminal fraud, executed with unwitting taxpayer support. “No, the accusation is more venomous than that: Human-caused global warming is not an error, it is a hoax. It is an intentional fraud, a worldwide conspiracy. Meteorologists as Climate Change Deniers? Well, the way I read his press release I can see it going either of two ways. 1) Toss NCDC under the bus: Hey, THEY make the data, not me. Gerard, it’s not up to the opponents to “have proof”. You cannot prove a negative. It is up to the proponnents of AGW to show some evidence, ANY evidence, which can be looked at by the “opponents”. This they steadfastly refuse to do, because they can’t, because there isn’t any. BTW It is not evidence to say: “It can’t be anything else, therefore it must be CO2”. Thjis is an argument of ignorance. Just because the proponnets of AGW cannot think of any other cause, doesn’t mean such causes do not exist, just that these people are ignorant and admitting it. Let’s face it, water vapour behavior in the atmosphere is not modelled, and is poorly understood. The planet cools by radiation AND convection. And, it is not GHGs that keep the planet warm, it is the ratio of the mass of the atmosphere to the mass of the planet; that, and laws of thermodynamics. Is it NOAA/NCDC that produces these? Never really understood the requirement to go back and “adjust” the historic figures, and this is not the first time. He’s got a good handle on how the thermometers move about. Dr H makes the hackneyed defence of appeal to authority. In my book that’s just a man, older than his time, muttering to himself. He is the authority! With power comes responsibility. With responsibility, if things turn out badly, comes guilt. Sir, you have sown a seed that germinated, grew and became a Tempest that now threatens the life-style of those that you have striven to protect. I feel sorry for you. I don’t feel sorry for your less-deserving colleagues! Herr Hansen, cold blooded computer game player! someone suggested that the moon acts on the atmosphere just like the ocean tides causing it to be thicker in some areas and thinner in others. It’s constantly changing. Does anyone have any reports on this effect?? Then again… is omitting data (i.e. 5,000 thermometers or so) technically tampering with it? It ain’t tampering if you don’t use it right? Very much like the sexual relations claim. Can you be a scientist and still be a dunce? The good ol’ nit pick blaming game. If only we all were seven again. You mean, the weather and climate anywhere has been under human control in the past? When was this?? Until Hansen fully complies with FOI requests, he has no credibility whatsoever. Nada, Nyet, None! He really should be tried for fraud and thrown in the slammer. All copies of Part 4 of John Coleman’s video “Global Warming – The Other Side” have been hacked and now contain a virus, including the one on this site. I am making this post as a warning. My computer crashed on Part 4 here, on this site, and I checked three other sites with the same results. As an aside… it suuuure has gotten quiet over at RealClimate. A very expensive shot, that cost lives and set back our space program. The multi-part booster design to start. Supercooled liquefied gases around them, could have been spillage or venting against them. And in the end, just because it was cold. In several ways, NASA was better when it was seat-of-the-pants, staffed with people who knew every last detail, with crews and management who understood that everything had to work, no excuses, no failure. Their landers and such are successful, because they are one-shots designed to be simple and effective without errors, they absolutely must work. Our grand shuttle program, enormously complicated, was shut down and many important programs were set back, because someone didn’t get the specs right on an O-ring. NASA deserves scrutiny, there is a lot riding on their work. If we allow Hansen and cronies to get away with their tricks while promoting something that is benefiting them professionally and financially, what happens if, perhaps, someone recommends a certain O-ring material, maybe even “adjusts” the specs a bit, because they’ve done consulting work for or maybe even own stock in the manufacturer? Coworkers notice what others are quietly allowed to do. If they try it themselves, ah, who’s it going to hurt? So where does the energy come from that melts an ice sheet? Most climate models treat an ice sheet as if it were a big ice cube. Say the ice is at -10 degrees Celsius. It takes X calories of energy to warm each gram of ice to the melting point, 0 degrees Celsius (if you are a youngster in a physics class today, rather than an old guy like me, you would say that it takes about Y joules of energy – either unit is o.k.). Then to melt the ice – to make the phase change from solid to liquid – it takes another 80 calories to melt a gram of ice. Let’s say that human-made greenhouse gases cause an energy imbalance of one watt per square meter over Greenland. If the average melting season is four months long, and if one-third of Greenland has that long melt season, then the extra melt from Greenland, in addition to what occurs on average without human-made greenhouse gases, is YY cubic kilometers of water – enough to raise global sea level by 0.0X millimeters (0.Y cm in a century). Hmm – not very much. Moreover, climate models find that global warming increases winter snowfall enough that sea level should fall as Earth becomes warmer. (The bolded “James” is in the original and appears to be a paragraph from Dr. James Hansen. I have italicized what is presumably Hansen’s proposed text, but I am only guessing. The stuff that is not italicized presumably is Sato’s calculation of the “numbers.” The other emphasis that I have added is a very interesting quote, if true. The idea that sea levels would fall as the earth gets warmer would seem to take out most of the “catastrophe” out of CAGW). 4.9 cal/g is to heat ice from -10oC to 0oC. 1 Watt is defined as 1 joule per second. 80+15 appears to be in calories, where 80 cal/g is the latent heat of fusion for water and 15 is the number of calories needed to heat 1 g of water to 15oC, but the latter is a guess. 4.18 is the number of joules per calorie. Actually, it is 4.186, which is not significant in this calculation. Also, since only about 70% of the earth’s surface is ocean, one could multiply 5.1 by 0.7 to obtain 3.57 x 10^18 cm^2 as the area of the oceans. That would imply a rise in sea levels of 5.6 cm/century per watt/m^2 of forcing on Greenland ice. Following is an extract from the Hansen interview on ABC Lateline, an Oz current affairs programme. TONY JONES: Okay, can you tell us how the Goddard Institute takes and adjusts these global temperatures because sceptics claim that urban heat centres make a huge difference; that they distort global temperatures and they make it appear hotter that it really is. So do you adjust, in your figures, for the urban heat zone effects? JAMES HANSEN: We get data from three different sources and we now, in order to avoid criticisms from contrarians, we no longer make an adjustment. Even if we see there are eight stations in Alaska and seven of them have temperatures in the minus 30s and one of them says plus 35, which pretty obvious what happens, someone didn’t put the minus sign there, we just, we don’t correct that. Instead we send an email or letter or a letter to the organisation that produces the data and say, you’d better check the Alaska temperatures, because we don’t want to be blamed for changing anything. But as far as adjusting for urban effects, we have a very simple procedure. We exclude urban locations, use rural locations to establish a trend, and that does eliminate – though urban stations do have more warming than the rural stations, and so we eliminate that effect simply by eliminating those stations, but it’s very clear that the warming that we see is not urban, it’s largest in Siberia, and in the Arctic and the Antarctic, and there aren’t any cities there, and there’s warming over the oceans, there are no cities there. So it’s not urban warming that’s just nonsense. So if I understand the above statement correctly, GISS uses only rural (whatever is rural, airport is rural?) data to establish a trend, then adjust the urban data to that trend. Or does he mean GISS doesn’t use urban data at all? Can’t be. IN any case, the late John L Daly’s website has an excellent article on surface temp records. It’s about 9yrs old now but nothing has changed, same old fudging of data. Letterman likes assistants Hansen likes adulation. Dumb guy a and b one guy likes to be civilly disobedient the other wants to go upstairs, what a moral pair. Science ?? Now you got my attention, Carbon Dioxide. I remember watching the landing, but I don’t recall any two minutes of silence. I’m not saying it did not happen, it very well could have. I was so caught up in the moment, I just didn’t notice. Is there something more I am missing? My sincerest apologizes. I thought you were making fun of the issue, as if there were no proof of the anti-AGW position in the last few weeks. You are entirely correct. The MSM and other self fancied members of the elite have not bothered to acknowledge the deep penetrations in the flanks of the AGW constructs Climategate has provided. Remember how Nixon tried to dismiss the whole Watergate thing as a third rate burglary? At each step, there was this escalation of dares, with the ultimate capitulation of his resignation? First there was this assistant. Then this next assistant, all offered as potential goats of Azazel to appease the mob? But the mob was not appeased. Same thing here. It is all unraveling. Too many people have made too many bold assertions, knowing they had better be right. Right now, there are too many auditor types nailing this thing down, step by step. Be banned to the infernal regions of irrelevance. Hard medicine for the proud and vain. I think we will start seeing people hedging their bets and running for cover. The easy way out for politicians is to simply say they relied on the word of the climate scientists. Same for the news reporters. Of course this will be a public admission they were taken in by a bunch of nerds. But what will the nerds have as their excuse? If that were true then I could just hold off on reporting the seven fold spike in my bad debt expenses and all the new equity I issued to make up for the lost cash. That’s not lying to the new (and old) shareholders, is it? He’s playing a religious card here, albeit subtly. Fine. God gave man dominion over all the Earth. So, if Mr. Hansen wants to play with religion, he can quit or resign govt. office, file for a new religious belief, and preach the GAIA dogma. He can be tax exempt, but he can’t use tax dollars to preach. Otherwise, there is a clear separation of church & state in the Constituion, and in this country, using office to promote dogma is not allowed. It’s why we came here, to escape State religion. The bark beetle kill-off was a result of a drought, not lack of cold in the winter. Pine trees always have a few bark beetles hanging about. They punch a hole in the bark, and it fills up with sap, preventing more beetles from being attracted by the original beetles phemerones. In a drought condition, the trees lack moisture, and not enough sap is produced to plug the hole, and lots of new beetles come to the tree. Enough beetles will eventually girdle the cambium, and the tree is kaput. Cold doesn’t kill beetles, rain does. Didn’t know Letterman was such a kook! Out of touch with reality I’d say. Sounds like he’s just hears the soundbytes…living in the MSM. Guess that’s what you get! Apology accepted Jack. I and neighbours have been battling a proposed windfarm in the beautiful Macedon Ranges area of central Victoria for over six years now. Useless turbines that politicians love as symbolic gestures to climate change mitigation. Recently the Victorian Health Department deemed that there is no evidence that noise from turbines in close proximity to households have a impact on health. Giving a green light to developers to impose 135m tall turbines as close as they want to homes. Residents close to existing turbines have effectively been told that it is all in their imaginations that they are ill.
. . .In Canada the number of stations dropped from 600 to 35 in 2009. The percentage of stations in the lower elevations (below 300 feet) tripled and those at higher elevations above 3000 feet were reduced in half. Canada’s semi-permanent depicted warmth comes from interpolating from more southerly locations to fill northerly vacant grid boxes, even as a pure average of the available stations shows a COOLING. Just 1 thermometer remains for everything north of latitude 65N – that station is Eureka. Eureka according to Wikipedia has been described as “The Garden Spot of the Arctic” . . .
Notice that nice rosy red over the top of Bolivia? Bolivia is that country near, but not on, the coast just about half way up the Pacific Ocean side. It has a patch of high cold Andes Mountains where most of the population live.
. . . One Small Problem with the anomally map. There has not been any thermometer data for Bolivia in GHCN since 1990. None. Nada. Zip. Zilch. Nothing. Empty Set. So just how can it be so Hot Hot Hot! in Bolivia if there is NO data from the last 20 years? Easy. GIStemp “makes it up” from “nearby” thermometers up to 1200 km away. So what is within 1200 km of Bolivia? The beaches of Chili, Peru and the Amazon Jungle. Not exactly the same as snow capped peaks and high cold desert, but hey, you gotta make do with what you have, you know? . . . Nor does he address the problems Anthony Watts has been exposing: Is the US Surface Record Reliable? Wow, well that totally refutes the very specific items I saw. Got to hand it to Hansen, he pwned Coleman there. No possible way to cross-refute that bomb from the GISSman. With responses like this, who needs queries? rbateman: “Can I believe that someone who says things to incite civil disobedience is not going to sit silent while others discuss how to cook the books to further his own doings? NOT”. Both these people need a serious check-up from the neck-up. Stunning how this rubbish get’s airtime. The transcript of David Letterman with “yep….yep……yeps” from Hansen. LETTERMAN: And 50% of the species that we now know will be, in my son’s lifetime, eradicated. LYSENKO: [Nods]. “Yep. Well you know in my book I talk about what happens as Greenland and Antarctica begin to melt faster…..blah blah blah….greater pressure gradients and stronger storms…..blah blah blah. In this “WARMEST” decade ever, as you call it, Jim…..then how has the ACE index been so low???? Again….message to Jim Hansen and his henchmen. Your tale of scare tactics and myths….are soon to be over. Be a man, step down and stop funding your activism from the public dollar! Hansen would be wise to shut up while he has the chance. There will be plenty of time for his CO2 later in the legal system. Not even for fun? That’s what Google dug right up for “apollo 11 minutes silence,” first two results that had “two minutes of silence” in the results. What other sort of sites have such important and critical information? An that IS the real beef of the argument, folks…the one that burns me up….even more than the AGW scare. (OK….not more, just equally). If Hansen elected to stop receiving a paycheck from Uncle Sam, so he could continue his extremism, I would respect that. And so the American taxpayer should be OUTRAGED. The “Storms of His Grandchildren”…will be the storms they unfairly have to endure…when history proves that Granddad is a FRAUD! Here’s a theory: Letterman is baiting Hansen into agreeing with ridiculous claims to show what a loon he (Hansen) is. Naw, but it was worth a try. Letterman does ask what he can do to further the cause. Here’s the answer, Dave my son – turn off your electricity, dispose of your vehicles, don’t heat your home or your water, stop eating or wearing anything you didn’t produce yourself, no home repairs you can’t do yourself with raw materials you procure yourself without power tools. And no television show, for crying out loud! Think of the carbon footprint. And it would be even higher if anyone watched the stupid thing! What are the facts. Are the opponents of AGW just making noise or do they have proof? Well, that’s the point, isn’t it? E.M. Smith has adduced the evidence that cooler stations have been removed from the records and that the area has been “homogenized” by warmer stations. Either that is correct or it is not. Dr. Hansen has responded by saying “we have not manipulated anything” while not addressing the actual issue in any way whatever. That is not the typical action of a man who has an adequate defense of his method. If you aren’t hiding anything James the why the resisting of FOIA? He is driving down his ratings, that’s for sure. I used to love him. I would stay up way past my bed time to watch him. I don’t recognize what he is now. He’s sooo political now that he has creepy James Hansen on the show. I remember he used to make jokes about people like James Hansen. Maybe his heart operation changed him. What counts for manipulation at he the desk of a mad scientist may not be the same as what counts for manipulation in the rest of the world. Are the opponents of AGW just making noise or do they have proof? Now, you may call that a cheap shot, but let me say that the situation you are talking about with the lander is one reason I am terrified of NASA doing climate engineering. Calculation in liters, application in gallons. Bam!! Popsicles. The guy with piece of rubber and a glass of water, that was the great Richard Feynman who said in the Challenger report, “For a successful technology, reality must take precedence over public relations, for nature cannot be fooled”. Wich is also very much true about AGW. The more Letterman talks the more he reveals how stupid he is. They had just spent time battling against the Moons escape velocity of 6,000 miles per hour and maneuvered the craft to a safe landing point. Are you surprised they were speechless for a short time? Even if they weren’t, NASA would have been mindful that kiddies might be watching and deemed “HOLY F#@%” as an inappropriate mission statement. I’ve just done the same. 24c, inner west, Sydney, Australia. I am told it is summer here…well, it’s suposed to be anyway. The comment; “there is a clear separation of church & state in the Constitution” is incorrect. There is no such delineation within the Constitution. It is something you have accepted on faith the same as AGW is accepted on faith by its proponents. AGW individuals “know” man has to be responsible therefore they will cook the books to prove it. The comment; “using office to promote dogma is not allowed.” This is also not true for that is exactly what AGW is doing by preaching their dogma. God help anyone who dares disagree with them. I find it very interesting that many of the same individuals that are so skeptical of AGW, swallow other dogma without blinking an eye. If the AGW scientist are so corrupt how can we be sure of any of the “soft” sciences are any better. I know that the same tactics used by the AGW to deny access to peer review publications have been used to deny Evolution skeptics publication and even tenure; again it is not about the science it is about dogma. In fact that is probably where the AGW scientist got the idea to stifle debate. Dr. Hansen has responded by saying “we have not manipulated anything” while not addressing the actual issue in any way whatever. That is not the typical action of a man who has an adequate defense of his method. Well, actually it is when he’s knows that he won’t be challenged and that the audience and host will enthusiastically agree with anything he says. ….’NASA has not been involved in any manipulation of climate data used in the annual GISS global temperature analysis’. Q1. Are there people working at GISS that are not employed by NASA? Q2. Is the annual analysis is calculated from the monthly runs? That is so wrong I don’t even know where to start. Why only 18,000 years ago Chicago was under a glacier. Heh. Now it is true under original Constitutional doctrine States were free to establish Religion (not to mention slavery) that ended when the protections of the Bill of Rights were extended to cover States as well. If I recall my history correctly we had a war to settle the issue not to mention most recently a Civil Rights movement and also a Right To Keep And Bear Arms movement. Both of them (in the main) successful. If the AGW scientist are so corrupt how can we be sure of any of the “soft” sciences are any better. I know that the same tactics used by the AGW to deny access to peer review publications have been used to deny Evolution skeptics publication and even tenure; again it is not about the science it is about dogma. Evolution explains how man came into being. The DNA record is pretty clear. What we don’t know is how it all got started. What came before DNA or more correctly DNA as we know it today. There simply was not enough time (if we have the probabilities correct) for life to evolve on Earth from a chemical soup. The conservativelesbian link above explains it. There is a LOT of shoddy stuff going on in science. The only way to fix it is the public conversation that is relatively new (probably less than a decade where the numbers are sufficient – early days yet). Let every one have their say no matter how foolish. In time the truth will out. Watts Up With That is one of the truly shining lights in the new realm of public science. And we have Climate Audit to thank. I remember when Anthony got interested in Stevenson Screens there. Which lead to the founding of Surface Stations and this blog. I remember (it is in the record and you can go look) discussing the science with Mosher, Watts, McIntyre and the rest of the gang. It was all bright shinny and new. And we had no idea what would come of it. It was just an effort to do things right. And so here we are. The politicians paid me to say that. Tom Murphy plans to spend much of the next five years using the Apache Point telescope in New Mexico as a tape measure 239,000 miles long — give or take a millimeter. He’ll employ the telescope, a laser beam and reflectors left by several lunar missions in a technique known as laser ranging to provide the most exacting measure yet of the Earth’s distance from the moon. He will use the 3.5-meter telescope at Apache Point, near Sunspot, N.M., owned and operated by the Astrophysical Research Consortium of which the UW is a member. He will attach a laser that generates an average power of 2 watts, but that will jump to a peak power of a gigawatt (1 billion watts) long enough to generate a 1-inch “bullet” of light aimed through the telescope at the lunar surface. The distance is calculated by measuring the light pulse’s round-trip travel time and multiplying that figure by the speed of light. Each laser bullet will be aimed at one of five retroreflectors, banks of 100 to 300 special prisms that reflect a beam of light back to its point of origin. The retroreflectors, each about the size of a suitcase, were left behind by three Apollo missions (including Apollo 11, the first manned mission to land on the moon) and two unmanned Soviet missions. “You pick which retroreflector you want to aim at, then you focus the beam as tightly as you can. But even then, the atmosphere distorts the beam so that when it hits the moon it’s 2 kilometers in diameter,” Murphy said. Was the first lunar landing faked? It is possible I suppose. But then you have to explain the laser reflectors left on the moon. How do you fake that? I have the video links up on two sites and have received no such reports. Malwarebytes anti-Malware, Spybot Search and Destroy, and the free version of AVG (which is used here). Yeah. Belts and suspenders. Dr. Hansen did not say anything about the main point which is the elimination of more than 4000 readings. We must then assume that this is true and should ask for an explanation. He gives his thoughts (extensive) and suggests more work needs to be done. There is nothing more sickening than watching James Hansen and David Letterman preaching the gloom and doom of Co2. Two adulterous men, seemingly approved by the masses they surround themselves with. I know this is somewhat OT, but T Boone Pickens has reportedly cancelled half of his order with GE for wind turbines that were to be installed on his proposed monster windfarm in Texas. His windfarm will not now go ahead there, and his already-purchased turbines will be installed on a number of other sites, not all in the USA. Is he the first high-profile player to sniff the wind and smell the dead rat of CAGW? @ Zorro – Your piece on the Tiritea (not Turitea) windfarm interested me – I grew up and lived in that town for many years and on my last visit there a couple of years ago, I was apalled by the windfarm eyesore. However, I do know from personal experience that the windflow there is probably great for a wind farm’s output! Also OT, but interesting that most of the Brit dailies are now beginning to tiptoe around CAGW and even the Moonbat has diverted into a film critique of Avatar. His critique of the film exposes his weird mindset (modern man=evil, primitive man=good) as an advanced form of the Green mental disorder. Belated thanks, Anthony, for providing such a splendid forum for all those interested to check ideas and express them publicly. Michael Smith claimed in the Coleman programme that GISS no longer used any Bolivian data in their global temperature ananlysis. The GISS list of the 1500+ stations used to complete its global temperature record still includes the Bolivian La Paz/Alto site in its station list. Data for this station ends in 1990. Does this mean that GISS includes stations amongst its 1500+ acitve stations which actually no longer supply any data? Or, is GISS still using La Paz/Alto data but has not tabled the information on the website? Can anyone help explain this situation. If GISS is citing stations in its 1500+ list of used stations which are no longer supplying data this would mean that true number of stations used to complete its global temperature record is even less than Smith has argued. BTW It is not evidence to say: “It can’t be anything else, therefore it must be CO2″. This is an argument of ignorance. Just because the proponents of AGW cannot think of any other cause, doesn’t mean such causes do not exist, just that these people are ignorant and admitting it. One such unknown, CFCs, has recently been indicted. (See below.) The case the author makes is at least as persuasive as the case against CO2. A friend posted this note that about a recent peer reviewed paper in Physics Reports detailing that CFC’s are to blame for warming observed in 20th century. Whatever happened to “Arctic (non warming since 1958“? This according to data from the Danish meteorological institute? If you ask me Hansen pretty closely fits with Eisenhowers 2nd warning.. In any other business people accused of this kind of wrongdoing would go to the courts and sue for libel. It would be interesting to see such a court case, all the data and all the methodology put into the public domain by order of a judge. I assume all those involved have the confidence in their work for this kind of scrutiny? Classic Side-Step: It depends on what the meaning of “is” is. To Hansen – On what is the meaning of “based” based? As I read through about 2/3’s of the above comments I came to wonder: “Who is Hansen’s boss?” This poor guy/gal has got to be sweating bullets everytime Hansen opens his mouth. Hansen is NOT defending NASA. He is using every tool in his little box of tricks to defend HANSEN, and he’s taking NASA down with him. PS: For what its worth – Hansen is no longer a credible Scientist. He does not argue the hard facts, he appeals to the masses — he’s a political appointee if there ever was one. PPS: Say a prayer for Hansen’s boss, I just know s/he is going to have a heart attack. LAShaffer (14:59:52) : How many jobs did this “create”? LAShaffer, if you go to Pubmed (NIH and WHO) and search their database for global warming or climate change or world temperature increase, you will get overwhelming lists of studies; with names, organizations and dates of jobs created by Hansen and Mann’s hockey stick. Here’s just one record I found there. Warming increases the risk of civil war in Africa. Burke MB, Miguel E, Satyanath S, Dykema JA, Lobell DB. Department of Agricultural and Resource Economics and Department of Economics, University of California Berkeley, Berkeley CA 94720. Armed conflict within nations has had disastrous humanitarian consequences throughout much of the world. Here we undertake the first comprehensive examination of the potential impact of global climate change on armed conflict in sub-Saharan Africa. We find strong historical linkages between civil war and temperature in Africa, with warmer years leading to significant increases in the likelihood of war. When combined with climate model projections of future temperature trends, this historical response to temperature suggests a roughly 54% increase in armed conflict incidence by 2030, or an additional 393,000 battle deaths if future wars are as deadly as recent wars. Our results suggest an urgent need to reform African governments’ and foreign aid donors’ policies to deal with rising temperatures. It would take me the rest of my life, but I’d like to know the amount of funding each university received for each study listed at Pubmed. Rather than speaking in generalities Hansen should explain why station data graphs captured by the surfacestations project several years ago are now different at GISS. And why is the graph of world temps different than it was in the past so that older dates have become colder and more recent ones are warmer? Why is it that after McIntyre discovered a hiccup in NASA’s data that 1934 became hotter than 1998, but now 1998 is hotter than 1934 again? And why have so many stations been dropped in recent years? How are stations selected for deletion? How is the average temperature recomputed after a station is dropped? Dr. Hansen and Michael Mann are stage-four cancers that have metasticized throughout the national science, health, energy, intelligence, executive, and legislative branches and organizations of the free world. Nothing less. Parents, examine your child’s science textbook. Examine the library collection at your school – the environment section. You can win an Ig Nobel prize. Stephan Bolliger, Steffen Ross, Lars Oesterhelweg, Michael Thali and Beat Kneubuehl of the University of Bern, Switzerland, for determining — by experiment — whether it is better to be smashed over the head with a full bottle of beer or with an empty bottle. Of course the 2009 Nobel Peace Prize went to President Obama for, what again? I can’t decide which is funnier. If you answer yest to all of these questions you may recognise my name. Having read a long set of diatribes against Dr. Hansen and NASA, it appears that we deniers are impatient to have major government entities held accountable for a hoax that they have perpetrated with the help of politicians, consenting scientists, and the main steam media on humanity. Why? We have already won. If people like Dr. Hansen who are the leaders of AGW movement have to appear on National Television on Letterman’s show to prove that they and their sponsors have been honest and truthful about their temperature correlations, it speaks volumes already about their confidence in defending what they have done, especially because a small television station decided to present to local audiences their take on AGW. The whole issue of AGW is a house of cards ready to tumble especially when they start to eat their own. What is really helping to pull the rug out from under this intermarried family of alarmists is the truth revealed in this BLOG and other like it by openly sharing detailed analyses, giving other points of view on climate research and the sharing of world climate data. I find these contributions very stimulating and enlightening. I for one am impatient too. We have been waiting too long and for too many years for breath of clean air would come in and sweep the foul smell of the emanating from the IPCC stable. I suppose it is easier to cover up the truth with lies than to hide the lies with more lies told protect themselves from being disclosed for telling the first lie. Nevertheless, personal destruction of people will give the unknowing public a reason to doubt our sincerity and honesty because we are attacking them rather that their ideas and activities. Finally, I have a serious question. I have read that weather is not climate. Then why is temperature the only measure of climate? Another way of asking this, is temperature the cause of a climate change or vise versa? Where have I heard words similar to those words before? Oh yeh. King George musing about the irritating folks across the pond a few years back. Are you from the UK? Did you make regular appearances at a Midland’s university under the pretence of pretending to work there? If so, you owe me a beer. Based upon what he has written on his website, Hansen is probably the most arrogant, power-hungry bureaucrat in the history of the world. His utter contempt for truth and opposing viewpoints remains astounding. If I were running for President in 2012, one of my first promises, if elected, will be to fire that man and replace him with a real scientist who is willing to be open to other points of view. It is concerning when a public servant manages spin on a talk show. Sorry, I owe you a beer! I would buy it you in Bolivia, La Paz/Alto – but I don’t know if it would be cold or warm. So who in the WMO make the selection, on what basis do they pick them and how can you say all 3 databases are independent if they use the same set of weather stations. The good doctor appears never to have heard of the Nyquist-Shannon Sampling Theorem, and believes he has divined information which HADCRUT neglected. But, he claims the technique is legit because the result can be replicated “via use of the complete time series of global surface temperature data generated by a global climate model that has been demonstrated to have realistic spatial and temporal variability of surface temperature”. Circulus in probando anyone? Cause of changes in climate is an interesting question. The earth is a dynamic system being driven far from equalibrium by all the energy that we receive from the sun. Chaos theory tells us that such systems often exhibit self organizing behaviors. There are sufficient feedback loops to keep the climate fairly stable. But anything from orbital mechanics (Milankovitch cycles) to subtle variations in the sun’s TSI/magnetic output can nudge the climate into new tracks. But it seems to return to its base state which in the last few million years has been largely ice age. Not surprisingly, James Hansen misunderstands the role of Court Jesters (as he misunderstands economics, public policy, political philosophy, and pretty much everything else I’ve heard him talk about). Far from being merely clowns, court jesters kept a monarch aware of his/her limitations, and foibles. Also, jesters could raise issues that would otherwise be unmentionable by anyone in polite court society. I’ve see some of your letters in the Cov Telegraph. Some time ago I asked Colin.J (at CU) if he had your email address – he didn’t. You are correct – you owe me a beer. In fact you owe me several since we in the programming teams carried you and your technician colleagues for several years. I’ve had to take early retirement due to the enormous stress. I’ll give you my email address if you’re interested and we can start up a local sceptic movement. Though you should be warned I’m more of a ‘lukewarmer’ than a die-hard sceptic. Apologies to other blog readers for this post. This is the biggest misconception among the AGW folks. And I’m truly and utterly sorry but it is you, still, it always was, you who had something to prove. So prove you’re hypothesis already, lest you’re the common idi*t.
Tiritea is a mispelling of Turitea, a minor matter though. The wind is so strong that the 115m Vestas at Tararua 3 have been falling to bits. Everyone in Palmerston North knows. All they have to do is look at the hills behind the city to see that often a third are not working and blades have been falling off. Wind as a reliable source of energy is a joke. has very extensive links buried in its many posts amplifying all this. I now live in Sydney and do my best to help my friends who are the victims of this environmental outrage. Last year I had the pleasure of telling the Environment Court judge presiding over the Turitea wind farm call-in where she could stick the turbines she so clearly favours. The Ministry of Truth in New Zealand certainly believes in the slogan “Ignorance is strength” Fortunately people are waking up over AGW and the wind farms being touted to stop this non problem. I have not had the time to analyze the rest of your links, I will however look them over. The concept of how DNA has evolved to man is not clear. The differences between man and our closest evolutionary relative has varied from !% difference to 3% difference depending on the paper you are reading. Also these percentages are based on DNA hybridization where small bits of human DNA are split into single strands and allowed to re-form double strands (duplex) with chimp DNA that were selected because of their similarities. This is not a direct comparison of Human DNA and Chimp DNA. This material is however, off topic for this discussion thread. Perhaps we could meet over on the above mentioned thread. I would challenge you to be as skeptical of these type of claims frequently a little truth is mixed in with a lot of supposition and imagination. Thanks again. Local Sceptic Group- Good idea! I wouldn’t regard myself as a die-hard: I am mostly annoyed by the misinformation that is being fed to the public. I’ll contact you through Colin. Again, apologies to other blog readers for this post. Martin Judge (03:41:28) : Michael Smith claimed in the Coleman programme that GISS no longer used any Bolivian data in their global temperature ananlysis. The GISS list of the 1500+ stations used to complete its global temperature record still includes the Bolivian La Paz/Alto site in its station list. Data for this station ends in 1990. Does this mean that GISS includes stations amongst its 1500+ acitve stations which actually no longer supply any data? Stations are in the station inventory (i.e. list) if they were EVER used. The data, however, stop in 1990 in Bolivia. So real cold Bolivian thermoemters are used to calculate the baseline. These are then compared with “fill in homogenized” data from “elsewhere” for the anomaly map creation. But hey, they ARE using the Boliva Stations… just in the past… for the baseline….. So yes, you will find all stations used at any point in time in the station inventory, station lists, on their nice little maps showing theromometers all over the world…. They just don’t bother to tell you that 90% of them don’t have any data newer than about 1990. GHCN has 1500 (ish) now. Those records shorter than 20 years get tossed out in step 2 of GIStemp, so the actual number “used” at present in GIStemp (prior to the Nov 2009 code change that I’ve not yet tested) is actually 1176 last time I measured it. Next time, before hollering that the sky is falling, consider that perhaps your computer is having a problem. If all you know is that you crashed, that that is ALL you know. To detect malware needs a malware tool of some sort or explicit symptoms characteristic of the specific malware. “Crash” just means nothing. Yes, I just downloaded and ran Part 4 again just fine. No problem at all. Mike Ramsey (15:57:24) : Is Dr. Hansen denying the accuracy of the charges made in John Coleman’s part 4? Or is he asserting that those actions don’t constitute manipulation of climate data? This is a bit misleading in that he accepts the data; but he dodges that with a hand wave about QA checking by some unnamed somebody. He’s also, I suspect, taking the position that his code does perfect things, so all those intermediate files it produces are either “not data” or “not manipulated”. Greta Thunberg: Britain has a "Mind-Blowing Historical Carbon Debt"
NASA Gavin Schmidt: Personal Climate Change Sacrifices "doesn’t actually change very much"
Climate Science – Pielke Sr.
Al Gore antarctica Arctic Australia Bill McKibben california climate climate change Climate model Climatic Research Unit email controversy Current sea level rise Earth El Niño-Southern Oscillation Energy environment Global warming Goddard Institute for Space Studies greenhouse gas greenland Heartland Institute Intergovernmental Panel on Climate Change IPCC James Hansen Judith Curry La Nina Little Ice Age Met Office Michael Mann NASA National Climatic Data Center National Oceanic and Atmospheric Administration National Weather Service NOAA Pacific Ocean Peter Gleick Polar ice packs Science & Environmental Policy Project Sea ice Steve McIntyre sun temperature Temperature record United States United States Environmental Protection Agency Watts Up With That? For permission, contact us. See the About>Contact menu under the header. Some material from contributors may contain additional copyrights of their respective company or organization.